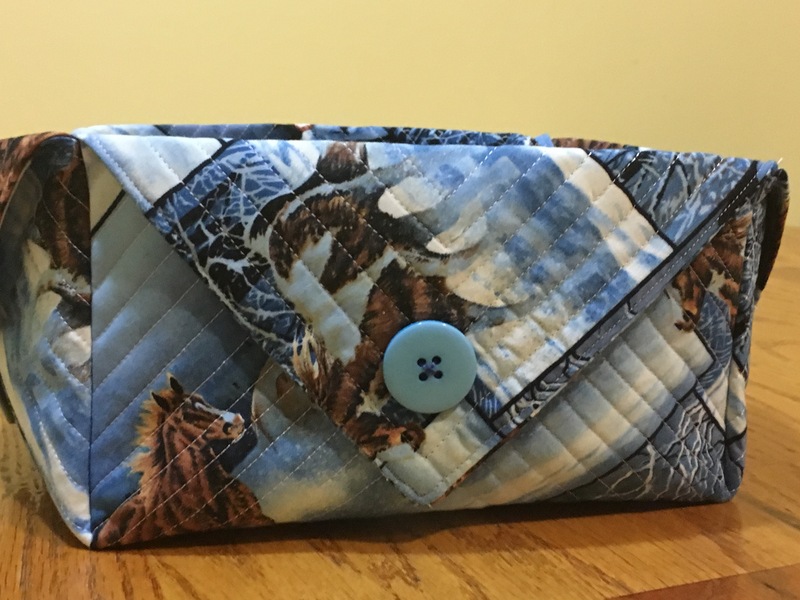 ~ Custom Quilts and Long-Arm Quilting. Fabric boxes oh my these gems are Sew fun to make and are very functional. 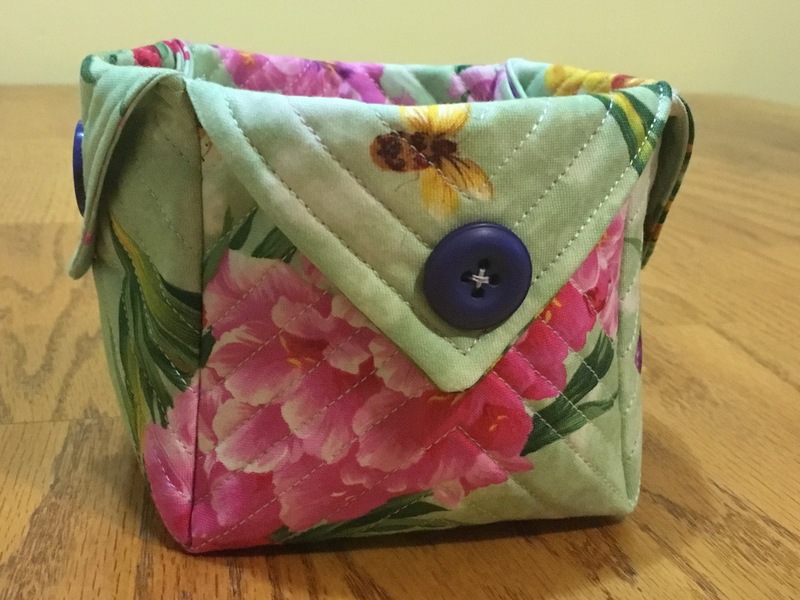 They make organization a snap with there cute fabric and buttons, I seen a small picture add on Facebook about them, so I did some investigation and could not really find a pattern for them,so in turn I stared at this picture of this fabric box for about a week. Until my “ahhah” moment happen I them sketched out a rough design, analized the picture once more and went from there. I figured the boxes had to be in the 4 to 5 inch range for width and length so I took a 12 inch square layered pretty sides together put batting on the bottom, sewed around all of the square except a small opening so I could turn it right sides out then I pressed all the creases out payed attention to making sure my corners where nice and crisp, then sewed along the outer edge being sure to sew down my opening I continued to do this around and around until I was in the center of the square.